July 29, 2014  The Bright Eyes singer has learned to channel his youthful intensity into real showmanship. 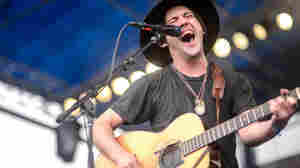 Conor Oberst performed at the 2014 Newport Folk Festival on Sunday, July 27. 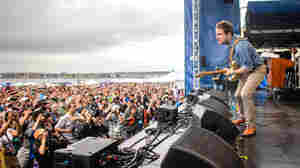 July 29, 2014  A heartwarming crowd-pleaser on stage and record, Dawes has become a Newport Folk Festival mainstay. 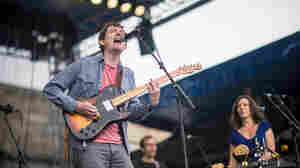 The California roots-rock band performed at the 2014 Newport Folk Festival on Sunday, July 27. 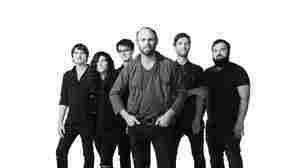 July 29, 2014  The shambling folk-rock sing-alongs of this Portland group are infused with communal spirit and heart-filling inspiration. 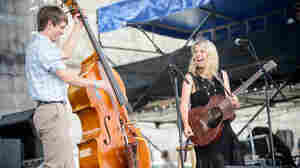 Ages and Ages performed at the 2014 Newport Folk Festival on Sunday, July 27. 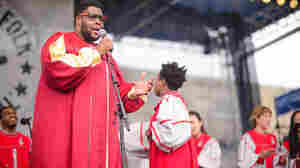 July 29, 2014  The gospel choir, featuring some of the best and brightest from Boston's talent-rich Berklee College of Music, opens the proceedings on Sunday, July 27 at the 2014 Newport Folk Festival. 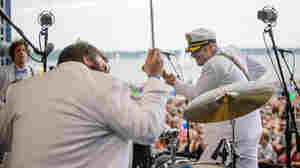 July 29, 2014  Think of Newport Folk staples Deer Tick as a turbo-charged bar band, free-wheeling and versatile. 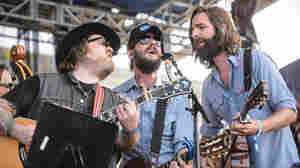 The group performed at the 2014 Newport Folk Festival on Saturday, July 26. July 28, 2014  The trio of onetime child prodigies returned this year after a seven year hiatus with no loss of creativity or chops. 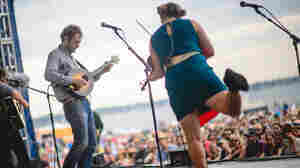 Nickel Creek performed at the 2014 Newport Folk Festival on Saturday, July 26. July 28, 2014  Equal parts rowdy and loving, the husband-and-wife duo of Michael Trent and Cary Ann Hearst radiates knockabout charm. 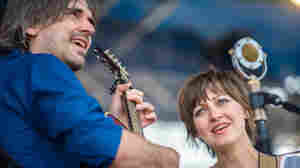 Shovels & rope performed at the 2014 Newport Folk Festival on Saturday, July 26. 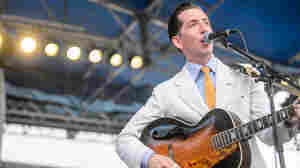 July 28, 2014  A man out of time, Pokey LaFarge never feels like a mere novelty act. His songs are too sturdy, with too much infectious energy. 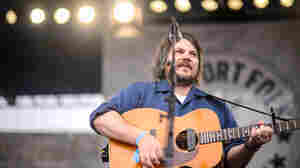 He performed at the 2014 Newport Folk Festival on Saturday, June 26. July 28, 2014  Former Crooked Still member Aoife O'Donovan's latest album, the lovely folk-pop Fossils, established her as a formidable solo artist. She performed at the Newport Folk Festival on Saturday, July 26. July 28, 2014  Where the strings in past Horse Feathers songs provided chamber-folk shading, here they're employed with energy, even aggression, without sacrificing the bracing beauty for which the band is known. July 26, 2014  The California trio plays acoustic string-band music with boozy aggression and unhinged intensity. 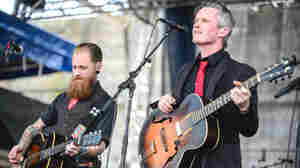 The Devil Makes Three performed at the 2014 Newport Folk Festival on Friday, July 25. July 26, 2014  Collaborators Anais Mitchell and Jefferson Hamer's album Child Ballads includes early traditional folk songs that still feel accessible. 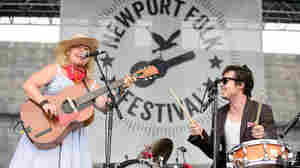 They performed on Friday at the 2014 Newport Folk Festival.